crisis was on everyone’s lips, the truth is that the events of 2007/2008 simply brought the cracks of an unsustainable, broken food system into view that had been there for a long time. rationale behind dominant production, distribution and consumption models remain untouched, and the guarantee of the rights to food and nutrition, water, land and other territories, as well as the rights to health, social security and a healthy environment, remain secondary to profit. Entitled The World Food Crisis: The Way Out, this years Right to Food and Nutrition Watch marks its tenth anniversary by taking stock of the past decade and looking into the challenges and opportunities anticipated for the coming period. The publication reflects the struggles of social movements and civil society organizations to transform food systems under the auspices of human rights, solidarity, social, climate and gender justice. 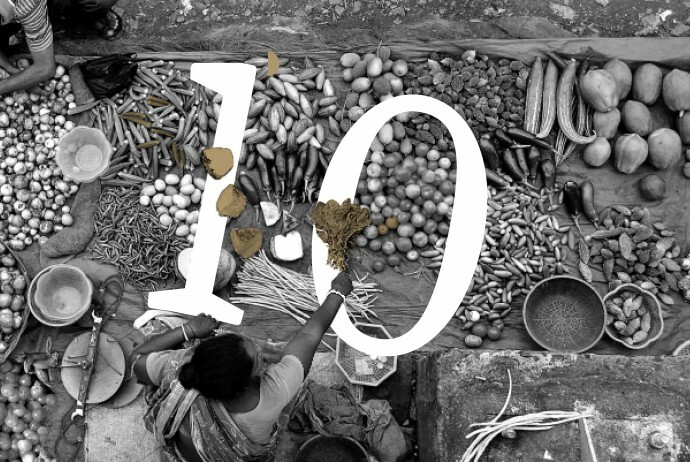 Ten articles, ten images, illustrating ten crucial issues of the ongoing multifold crisis, will aim to contribute to the struggle for the realization of the right to food and nutrition and food sovereignty, and to finding our way out once for all. examples of grassroots’ struggles to guarantee the right to food, alleviate hunger and promote dignity around the world, including in the African continent. The Watch seeks to be unique in its field and its conceptual analyses could promote academic debates, social movements’ discussions, dialogue with policymakers, and eventually, transformation “. The Watch is available online here and also in hard copies from FIAN Norway’s office in Oslo. Send us an e-mail if you’d like a copy at post(at)fian.no. Photo by Krishnasis Gosh. The photo was submitted to Biodiversity International’s photo contest:’Women and Agricultural Biodiversity’.